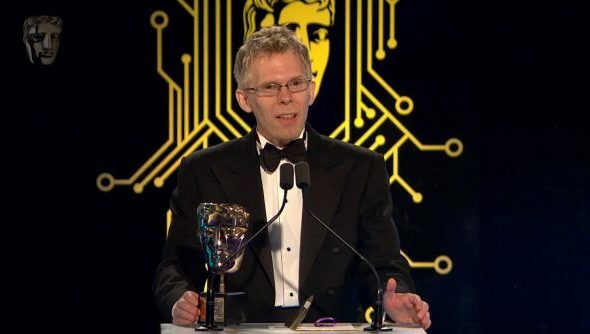 Legendary game creator John Carmack received the Fellowship at the British Academy of Film and Television Games awards last night. The title is the highest honour the Academy can bestow, given out to those that have made outstanding achivements in their field. It’s previously been given to Gabe Newell, Rockstar Games and David Braben, and Carmack delivered a fantastic speech upon receiving it. Other winners on the night include Fallout 4 for Best Game and Life is Strange for story, with Sam Barlow’s Her Story also grabbing three awards. Some of the best PC games ever making the shortlists and winners podium. You can also see what beat what on the official page. Certainly some … interesting choices scattered here. Fallout 4 defeating all comers for the last 12 months certainly doesn’t match my experiences, and we’ll blame open voting for that eSports award. Hey, Smite’s a great game with a cool competitive scene, but it doesn’t exactly match up in any category versus League, Dota or CS:GO does it? Meanwhile, Her Story bags another three, pushing it into the territory of one of the most-awarded games ever. Bloodborne gets a much-deserved design award – sad we’ll never see this one on PC, at least in the forseeable – and original property goes to Until Dawn, another PS4 exclusive I would have liked to see come over here. It’s a very strange game, one I love and hate in equal measure, and certainly something more people should try out. The awards will doubtlessly be back next year. Some more interviews and analysis over on the BBC, if you’re after it.